Summer Water Sports has been performing waterski shows since the 70’s and we keep the family cottage tradition going every summer. Our shows are packed with entertainment for all ages. Come watch members of the Canadian National Ski Show Team and Team SWS as they thrill audiences with death defying stunts, grace, beauty, technical sophistication and, of course, comedy for the kids. All shows are open to the general public. Shows start at 7:30 PM – rain or shine. For a schedule of shows, click here. 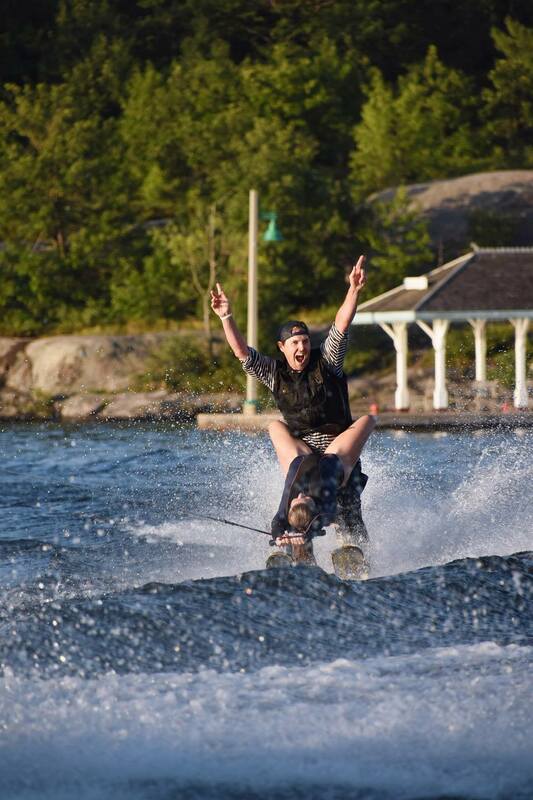 We are Canada’s leading water sports entertainment company, providing entertainment that exceeds expectations and turns your vision into reality. We can bring our Waterski Show to your next event; big or small, we can cater to your needs. 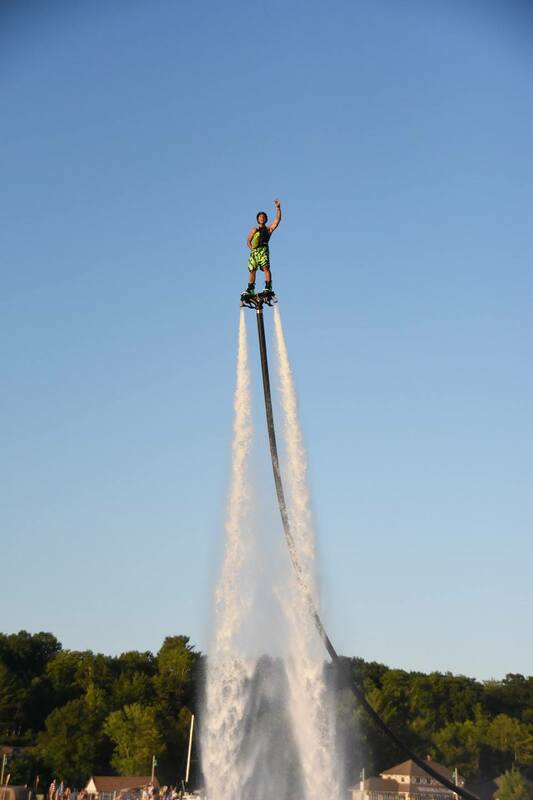 The show will feature an international professional team performing a world class stunt show and water ski show. Summer Water Sports leads the way in the promotion and production of water ski shows worldwide. SWS can design, produce and perform adrenaline packed water sports shows at a location of your choice. All shows are choreographed with music and costumes. Pyramids – 8 person, 3 tiers high or even bigger!! !